Premium audio brand Bose has become the latest business to attempt to cash in on the promised, but yet to be realised, riches of the augmented and virtual reality world. 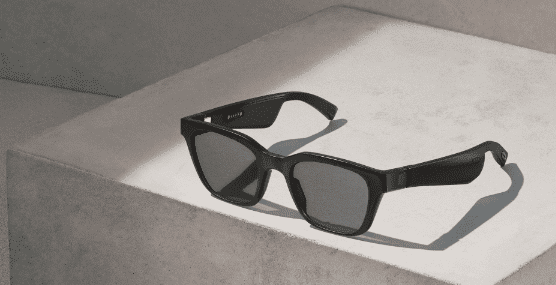 The new product, Frames, is claimed to have the ‘protection and style of premium sunglasses’, and ‘the functionality and performance of wireless headphones’, with the team positioning the product as the world’s first audio augmented reality platform. An acoustic package is set in each arm’s interior to produce discreet sound for the user. For touch and voice control, a microphone and multi-function button are embedded on the right temple for power and pairing, while also allowing the user to interact with Siri and Google Assistant, make calls and commands, or to pause and skip songs. For example, when paired with the user’s phone, Google Maps can rely directions, while the glasses can also rely information about whatever the user is looking at. After shipping 10,000 pairs of the glasses to AR developers in 2018, the product is now available for pre-order, at a reasonable $199, with consignments to be made in the New Year. One of the questions many in the industry has been asking is whether the AR and VR will emerge from the niches and penetrate the mainstream market; with a well-known and respected consumer electronics brand pushing the case, the segment has a genuine opportunity. While the industry has struggled to date, new research from IDC suggests there has been a bit of a rally over the last three months. Over the last quarter, IDC estimates shipments for VR headsets reached 1.9 million units, up 8.2% compared to Q3 in 2017. More competitive pricing and a broader number of options are credited for the boost, with Facebook’s Oculus Go and Xiaomi’s Mi VR (the same product branded for local markets) proving to be the most popular standalone products by a wide margin. With Bose entering the market, new momentum could be generated. While the likes of Xiaomi and Facebook have brand awareness around the world, this reputation is not tied into consumer electronics and hardware. This might be an issue for mass market penetration for AR and VR devices, as consumers are generally quite fickle. They buy from companies and brands which they trust. Bose making moves in this market not only opens the segment up to new audiences but validates the technology in the eyes of the consumer. It is too early to suggest AR and VR have made it, but the more companies like Bose who join the craze, the more normalised the products become in the eyes of the consumer. Trends are certainly heading in the right direction for a sluggish segment which is yet to gain genuine traction in the world.